Islamist capital accumulation has split the Turkish bourgeoisie and polarized Turkish society into secular and religious social groupings, giving rise to conflicts between the state and political Islam. By providing a long-term historical perspective on Turkey's economy and its relationship to Islamism, this volume explores how Islamism as a political ideology has been utilized by the conservative bourgeoisie in Turkey, and elsewhere, to establish hegemony over labor. 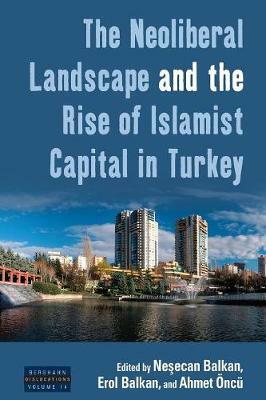 The contributors analyze the relationship between neoliberalism and the political fortunes of the Islamist Justice and Development Party (AKP), and examine the similarities and differences amongst new factions in the secular and Islamic middle class that have benefited economically, socially, and culturally during the AKP's reign. The articles also investigate the impact of the Gulen Movement and the role of the media in shaping the contours of intra-class struggle within contemporary Turkish political and social life.